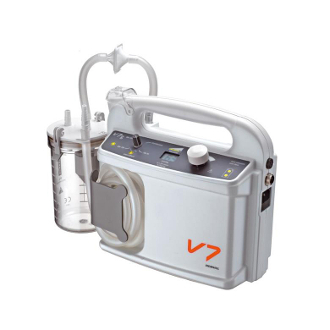 The V7g is a high quality – low noise - portable suction unit ideal for use in varying clinical areas and for therapies that require intermittent low suction and low flow conditions. PC1 (1 l.) polycarbonate suction jar (autoclavable up to 121 ºC). Overfill safety valve included.